Members of the Community Involvement Committee can now be removed by the group's executive director. 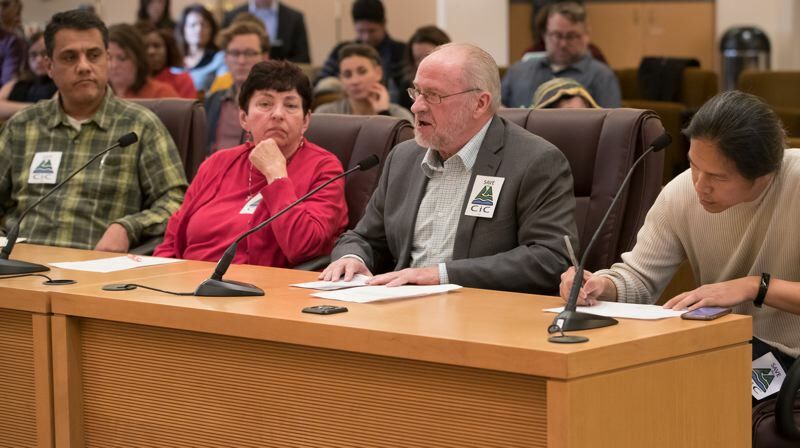 Members of a once-ornery engagement committee will be kept in line by new rules that allow the volunteers to be booted off by vote or administrative order, Multnomah County officials say. It's a flipped script for the Community Involvement Committee, which voters empowered to hire and fire its own staff when it was inked into the county charter in 1984. Now that power is gone, as is the private office space that hosted the committee until 2003. Under the ordinance approved by a 4-1 vote, Thursday, Dec. 13 the volunteer committee will become a "resource" to the Office of Community Involvement, whose executive director can remove committee members following a review by the chief diversity & equity officer. "Make no mistake, this whole thing is about a power grab," testified Greg Anderson, a former committee member. "(This) is probably the worst thing I've ever seen a local government do." Elected leaders swept the deck of the CIC on June 28, rescinding the appointment of all 15 committee members and canceling the group's monthly meetings, which haven't resumed so far. The changes provoked an ongoing lawsuit from some irate former members, who have also filed ethics complaints with the state and the county auditor. But commissioners say they were forced to act after receiving allegations of interpersonal problems between volunteers that disabled the CIC and left it unable to meet quorum. A spokeswoman for the county said the specifics of the misbehavior cannot be revealed until an investigation ends. 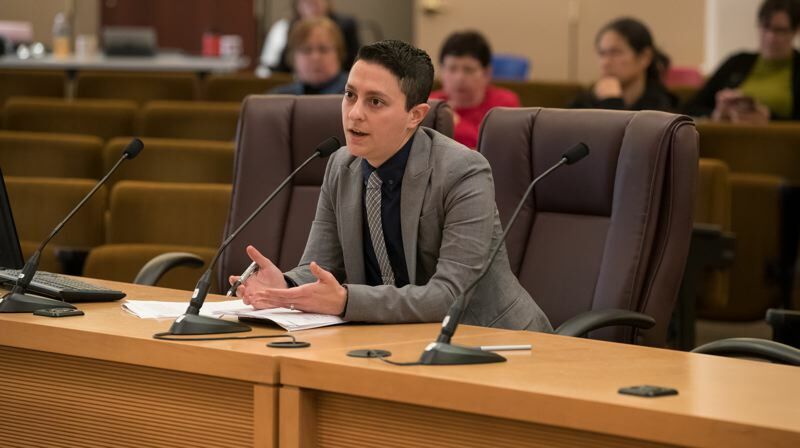 "We have a duty to protect people who feel they are being bullied or humiliated on both sides," said Commissioner Lori Stegmann, who represents Gresham and East Multnomah County. Commissioner Sharon Meieran said former members who weren't comfortable speaking publicly told her they were "traumatized" by their experiences with the committee. The taming of the CIC was ultimately supported by everyone at the dais — except Commissioner Loretta Smith — who argued variously that the county hadn't received enough feedback yet, that committee members will be cowed into silence under the new rules and that changes to the charter should await the Charter Review Committee that meets every six years. "This was designed to go after two people," she said, "to get people out of the way when we don't want to hear what they're saying." "It wasn't about excluding specific individuals," countered Dani Bernstein, who was hired by the county to oversee the committee in 2017. "There has been a lot of confusion over the role and scope of this committee over the years." 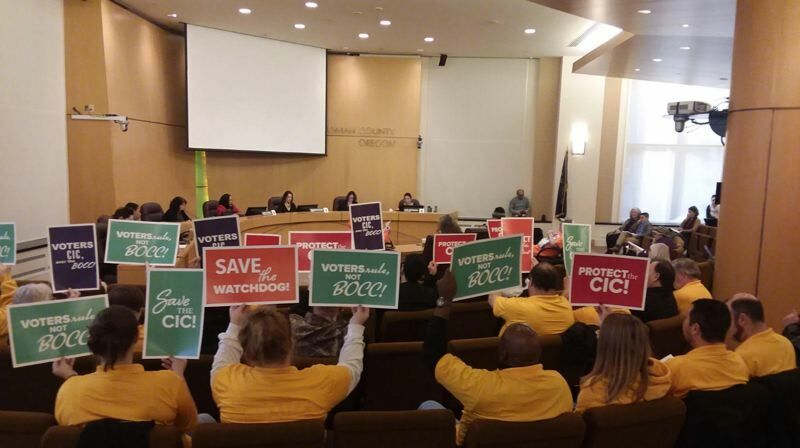 Indeed, while advocates for the disbanded CIC have described it functioning as an independent "watchdog" or oversight committee, county officials have noted that none of those words were used in the relevant sections of the Multnomah County Code or charter. News articles about the CIC written in 1984 focus on citizens' anger and surprise over several county decisions, including a never-adopted plan to site a new dump in Wildwood near Sauvie Island and the rapid annexation of East County land into Portland. After commissioners settled on an initial budget of $54,000 for the committee, then-Troutdale Councilor Paul Thalhofer lead a discussion questioning "how the salary of the committee coordinator could be funded to ensure independence from the county executive and commissioners." "No one was able to suggest a method," the Feb. 10, 1984 report concludes. The re-established and re-named CIC (it was once known as the Citizen Involvement Committee) will no longer be required to submit written reports to the board every six months, will have more at-large members and members will not need to be nominated by a community organization to join. 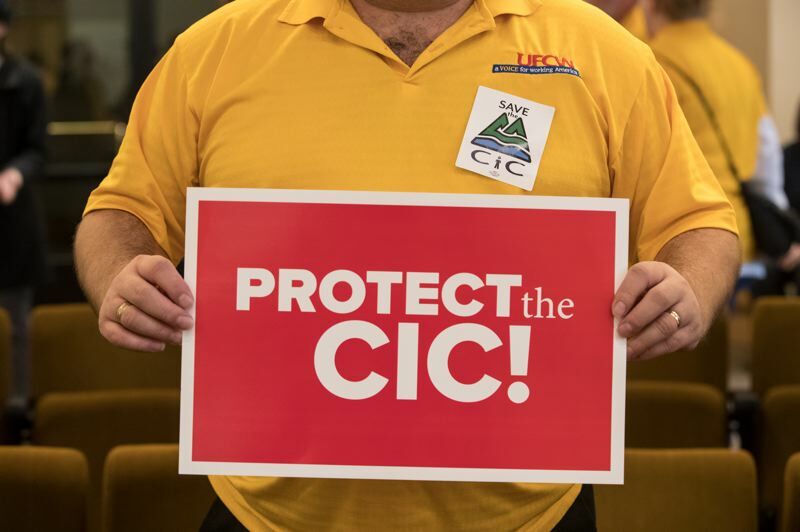 CIC meetings will remain public, but members will no longer be subject to strict record-keeping laws that prevent multiple members from attending the same public events. "When something's not working well, we can't be afraid to lean in and try to fix it," said Anna Marie Allen, a community engagement advisor for County Chair Deborah Kafoury. "That includes looking inward and making some shifts when things are broken, and quite frankly the CIC was broken." All told, about six people testified against the changes during multiple board meetings, while other sat in the audience holding signs. Bernardino De La Torre-Guerrero, who introduced himself as the first Latino chair of the Community Involvement Committee, said he suffered "sleepless nights" after being accused of bullying by county staff. "It is never our intent or our desire to cause pain and suffering," Kafoury responded. "I want to apologize for that."